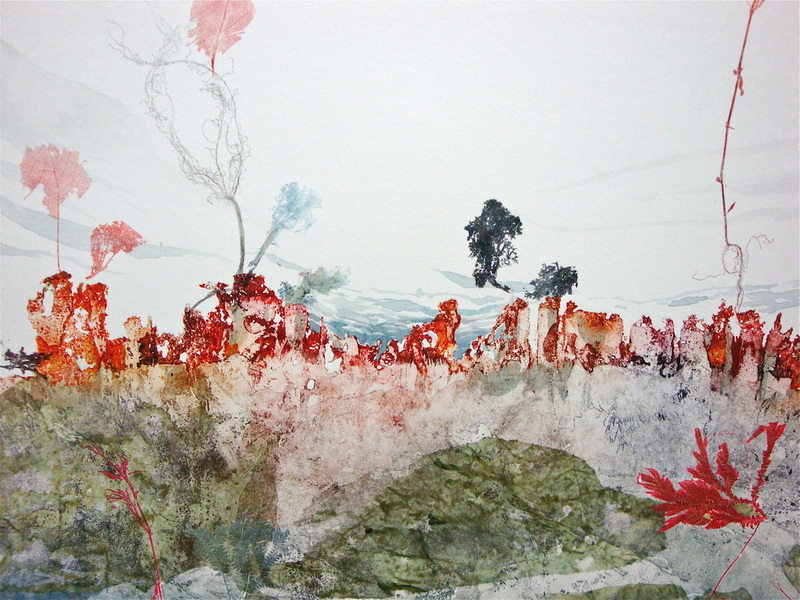 This series was created in 2011 and 2012. 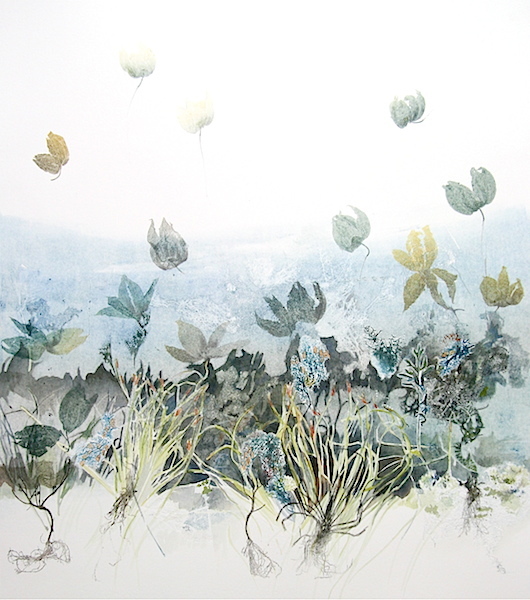 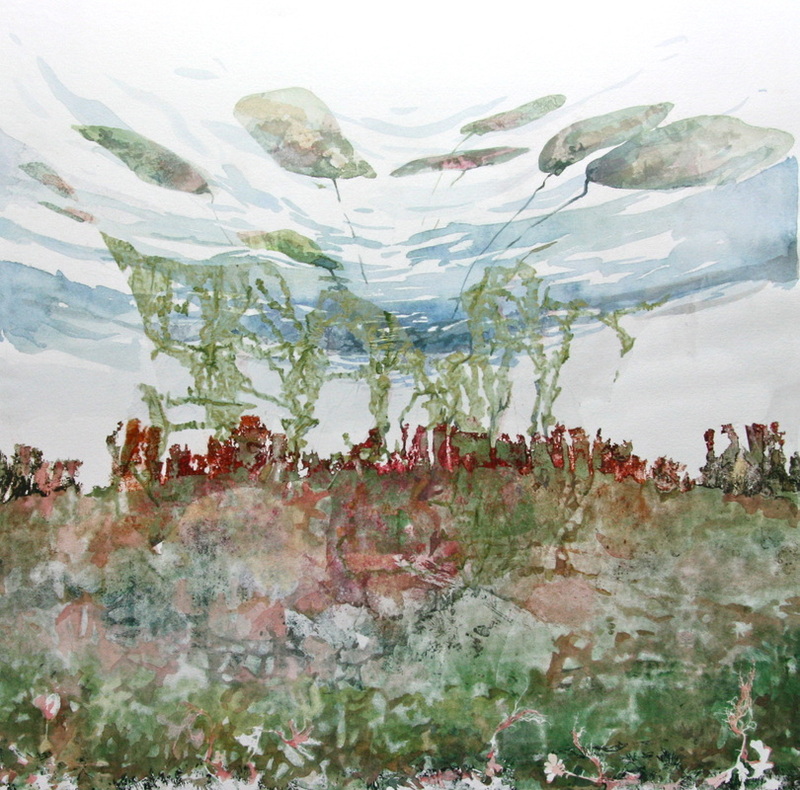 The Water Garden expresses dreamlike underwater landscapes. 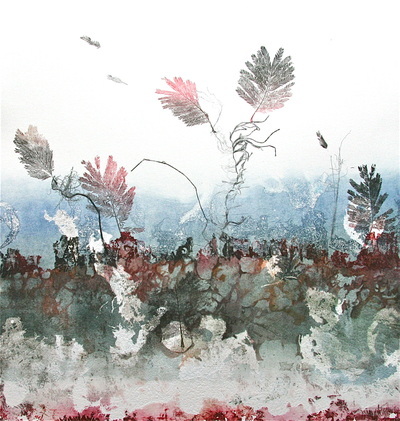 Each work of the 12 prints in the series is an unique work. For each print the starting point was an etched plate that was altered for the next work in the series. 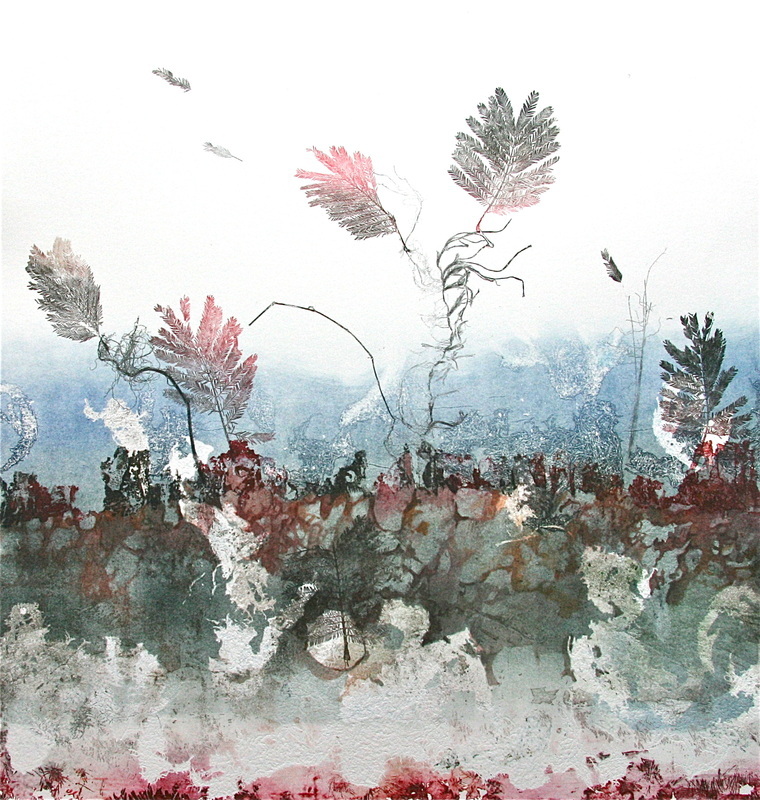 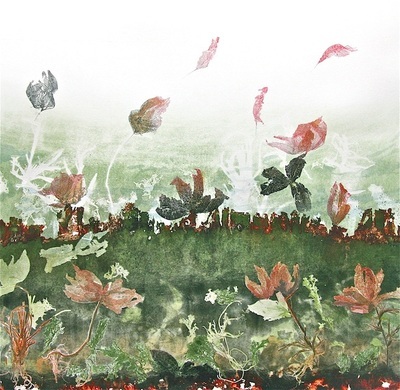 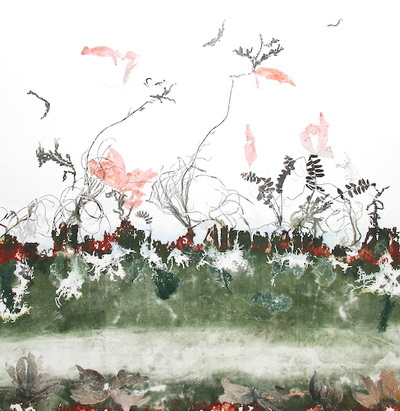 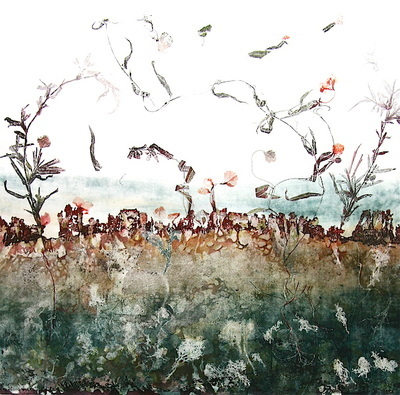 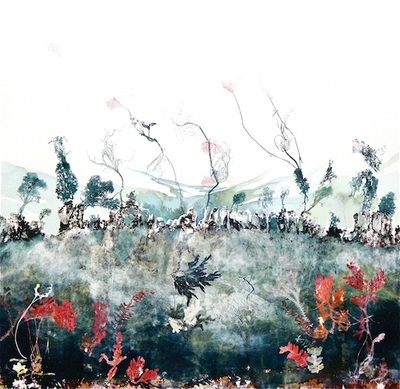 Techniques: Etching, Aquatint, Soft Ground, Chine Colle, Monotype, Nature relief, Hand colouring.